QUEENSBURY, NY – Aviation Mall will host a community blood drive with the American Red Cross on Friday, January 25 from 1 p.m. to 6 p.m. across from Peter Harris. For more information or to make an appointment to donate, call 1-800-RED-CROSS or sign up online at redcrossblood.org with sponsor code: AVIATIONMALLNY. 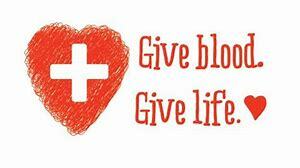 Donors of all blood types are needed, especially those with types O negative, B negative and A negative.